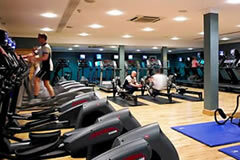 The Marriott is conveniently located just 1 mile from Manchester Airport and offers excellent leisure facilities including an indoor pool, whirlpool, sauna, steam room and gym. 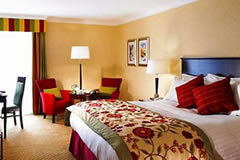 With a large bed, air-conditioning, en-suite, flat screen TV, WiFi internet and hospitality tray in every room. 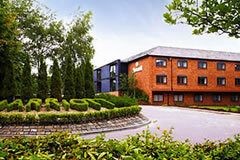 1.5 miles from Manchester Airport - Transfers take approx 10 minutes. 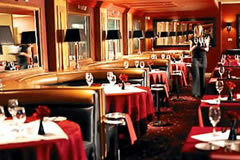 Players Restaurant offers fine cuisine in vibrant surroundings. A destination restaurant popular in the local area. Source Grill Restaurant features fresh regional produce with signature steak dishes in relaxed spacious surroundings. 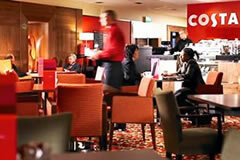 Lobby bar Coffee House serving fresh Coffee or light meals or gourmet sandwiches throughout the day. Transfers: preferential taxi fares will be available from the local taxi company and should be booked on arrival.